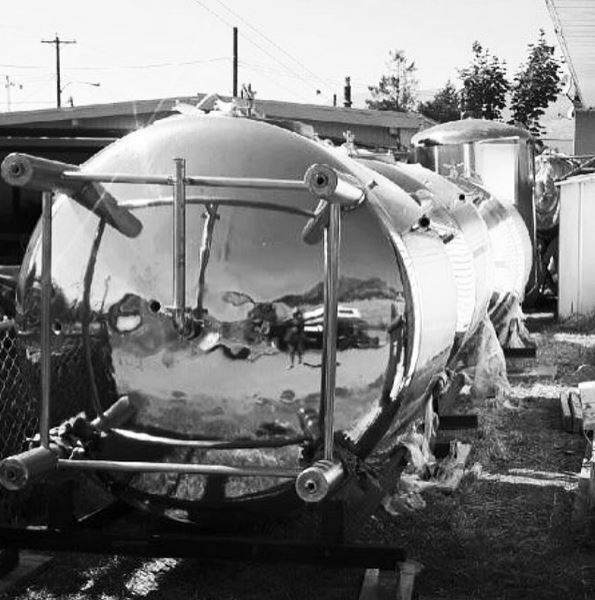 The area known as Brewery Creek in the Mount Pleasant neighbourhood is steeped in beer tradition dating back to the 1800’s. The area was home to dozens of breweries who set up shop on the banks of a creek that famously supplied fresh water to thirsty breweries. Fast forward over 100 years and the area is experiencing a renaissance of new breweries and with it, a unique culture of new beer explorers. 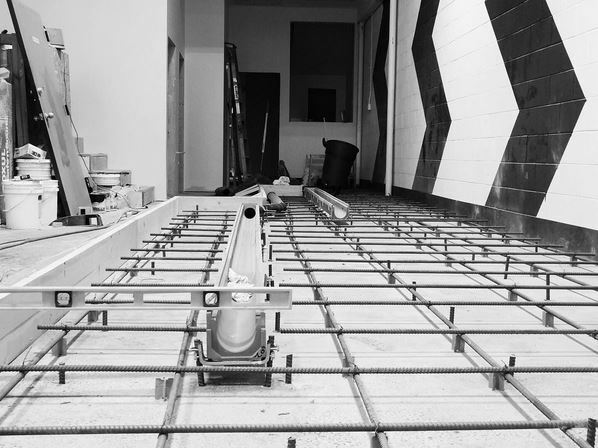 So when we first heard about a new brewery calling themselves Electric Bicycle Brewing with plans to set up shop on the banks of the creek (just kidding it’s been long paved over for condos and coffee shops!) we had to find out more. While details are still coming in, Leigh from EBB was kind enough to share some of their plans with us. What is Electric Bicycle Brewing? 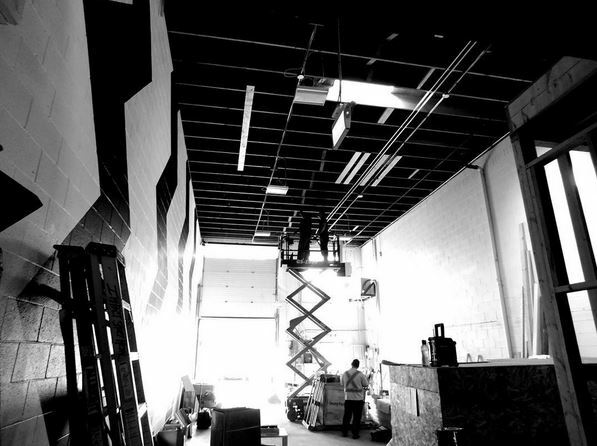 Electric Bicycle Brewing will be a brewery experience like no other! 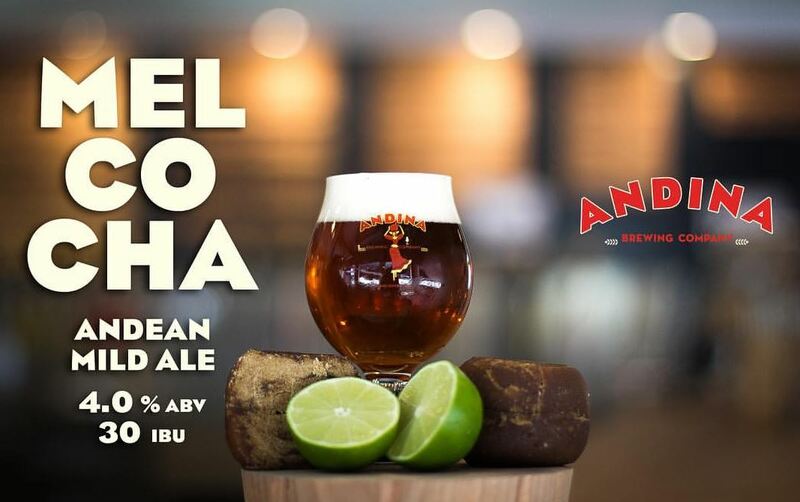 We’re delivering an ideal combination of outrageously good beers with gourmet grilled cheese sandwiches, a great atmosphere and grooving music. Elon Musk wants to go to Mars, but we want to take you the outer reaches of the beer universe. Electric Bicycle is a spot where your co-workers lose their inhibitions, your in-laws learn to love you, and boss finally gives you that raise. 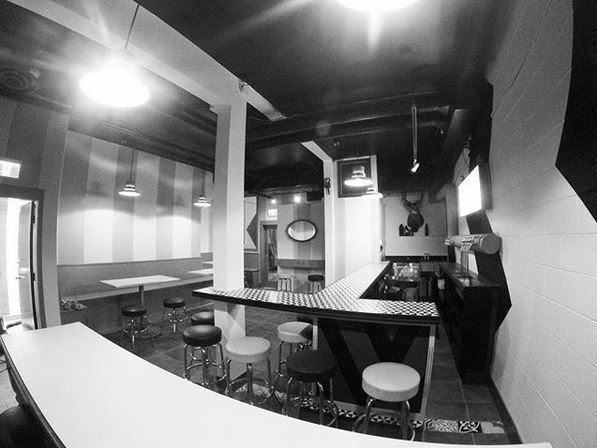 The tasting room has high tops, comfortable booths and long table seating for larger groups, even a few spots at the bar for you and your future ex-so-and-so. 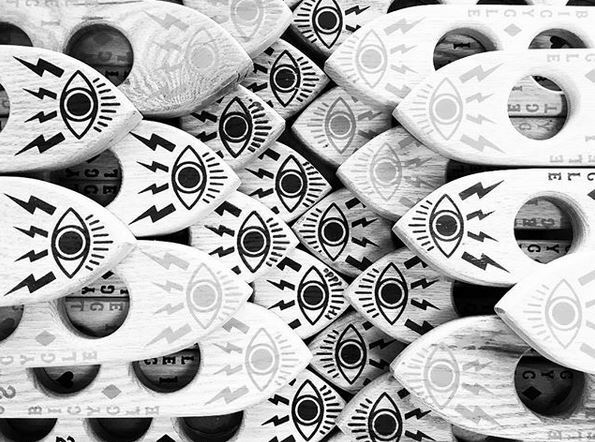 Who is the Electric Bicycle Brewing Team? 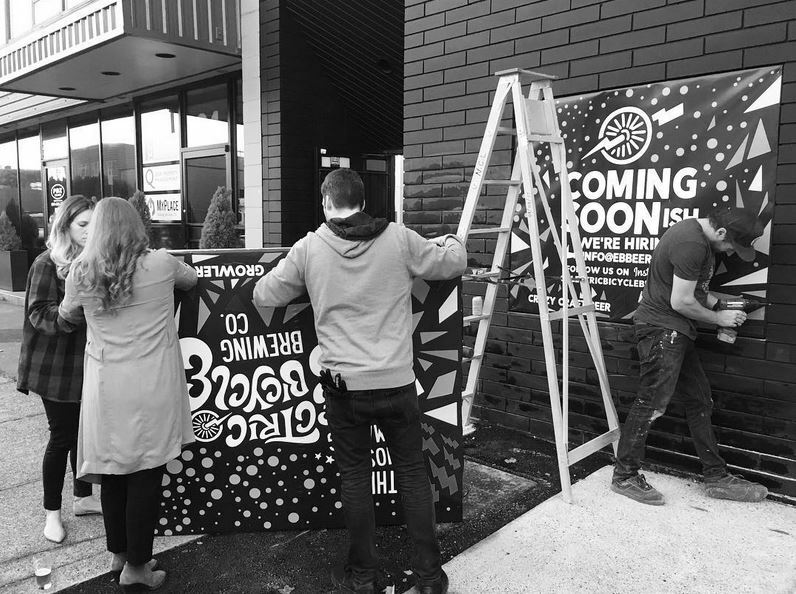 We’re a team of young, passionate beer enjoyers that want to shake up the Vancouver brewing scene. 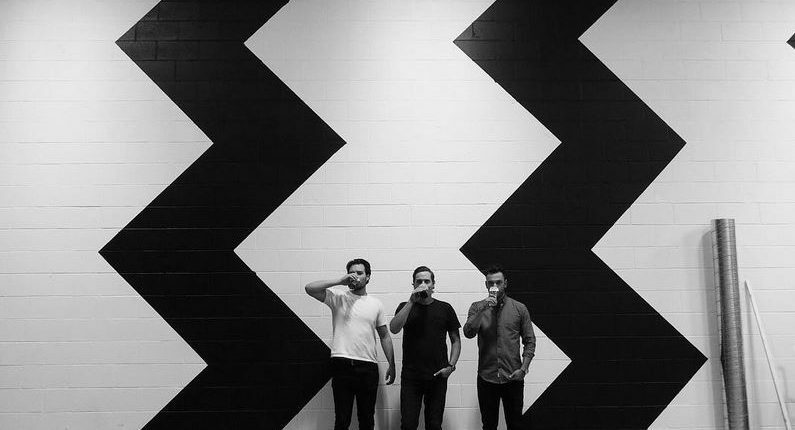 We love discovering new music, local and innovative art and great beer! We’re currently hiring too, so you could be part of this great team. 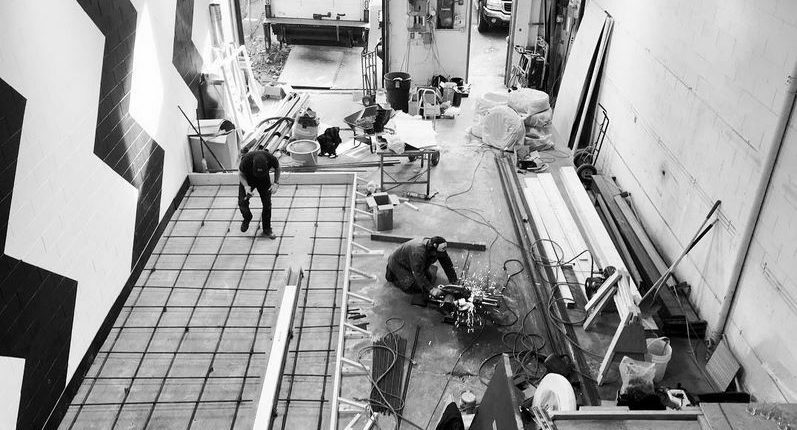 Drop us a line if you’re looking for the best job ever! What was the inspiration behind starting Electric Bicycle brewing? 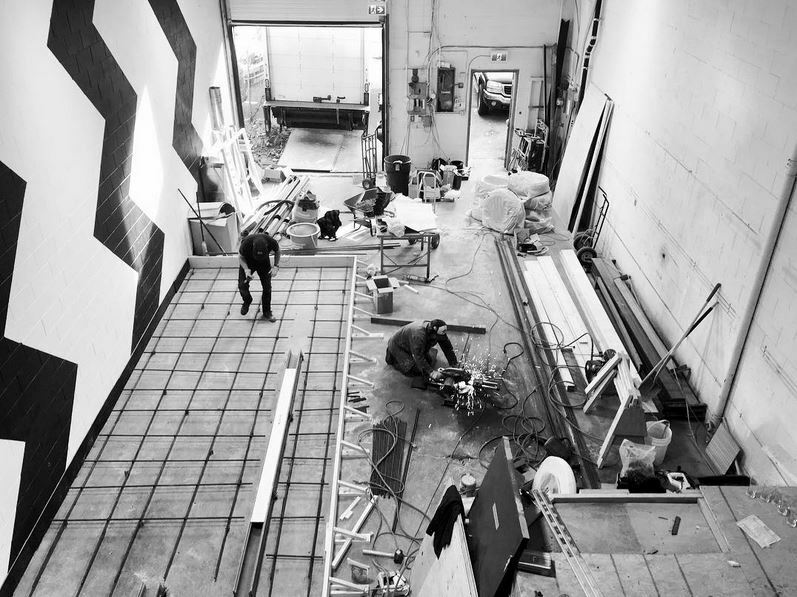 It started with the name; they used to build electric bicycles here. 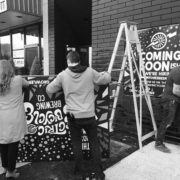 We love all our friends and their awesome taprooms and great beers, but we also love our local record shops and art spaces and we are passionate about bring these great things together. We’ve developed a space with an electric atmosphere, loud decor, rotating art & local music with a beer list that will make your jaw drop & your mouth water. What made you choose the historic Brewery Creek as your home? While we were looking at few different locations, we knew this was the spot when we saw it. 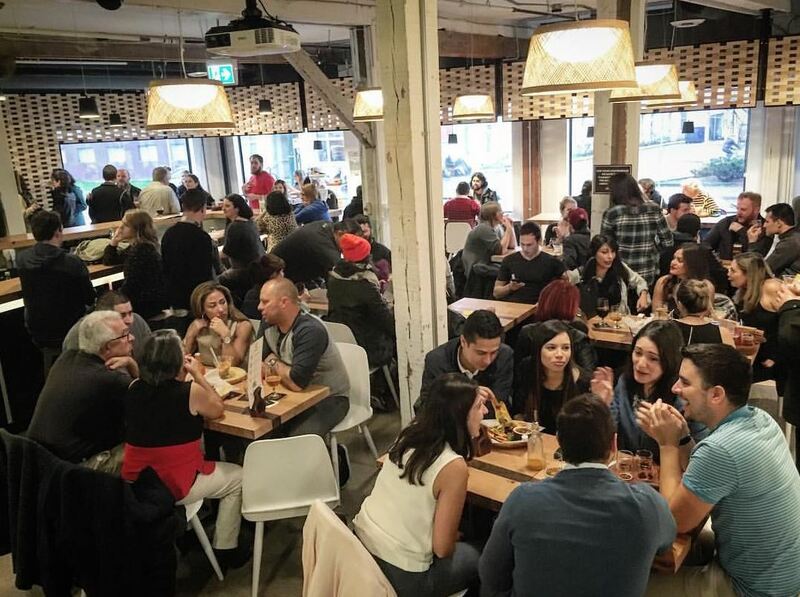 We love all of the new (and old) local businesses in the neighbourhood and decided it was the exact spot we wanted to be. Close proximity to the other breweries makes it easy to tour from spot to spot, you could say we did it for the people. 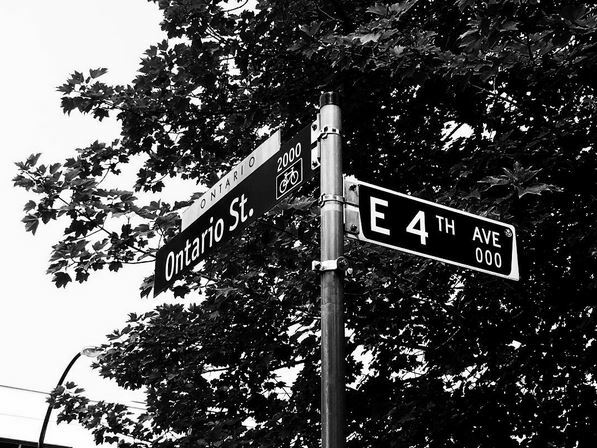 It is also great that it’s located right off the bicycle route at 20 East 4th. What beer styles are you initially going to start with? 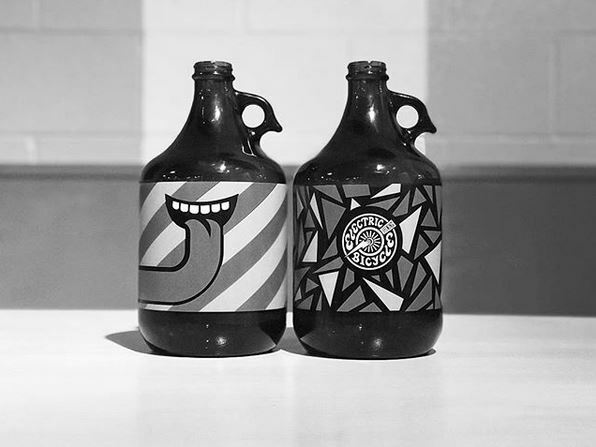 We’re currently in the middle of super secret recipe development, but we can tell you that our focus is on pushing stylistic limits and delivering flavor forward thirst quenching beers. We’re also going to be launching a rotating line called “Think Tank” based on customer suggestions so send us your wildest desires and hopefully we’ll make your dreams come true! How can we stay in touch and follow your progress? 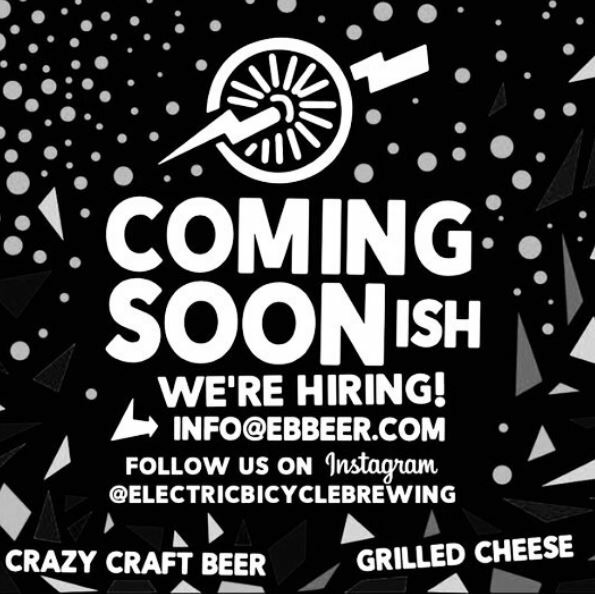 If you want to hear about out what we are up to, make sure to follow us on Instagram @electricbicyclebrewing, on Facebook at /Electricbicyclebrewing and on twitter at @ebbeervancouver. Electric Bicycle Brewing is now open! ¡ Salud mis amigos ! Beer is too often associated with only a handful of European countries: Germany, the Czech Republic, Belgium and the United Kingdom. Somehow these players have become the most well-known in the game, however, beer has been enjoyed for millennia all over the world. 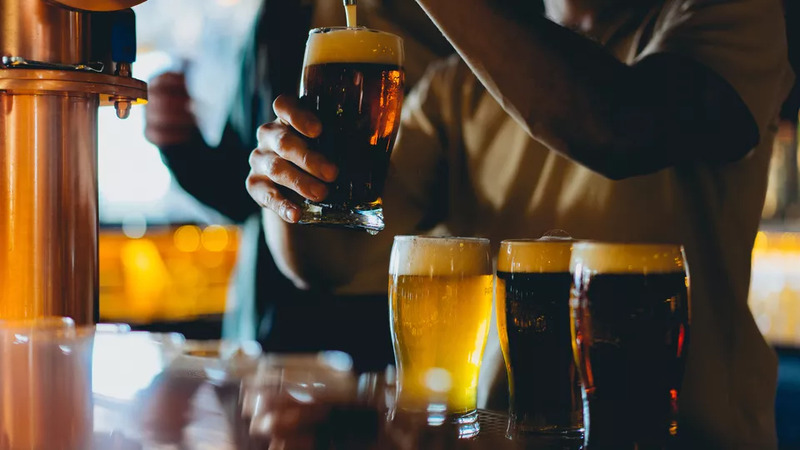 Canada, Japan, Spain and New Zealand are examples of countries with booming beer industries and surprisingly, the Seychelles and Namibia are in the top 5 countries internationally in terms of per consumption per capita (114.6 liters/year and 104 liters/year respectively). 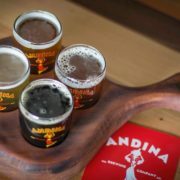 Enter the Andina Brewing Company! 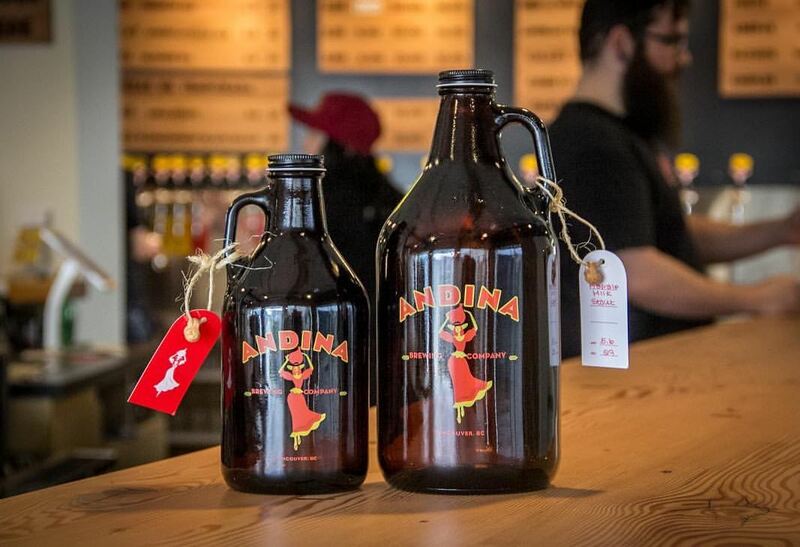 On March 2, 2018, the Andina Brewing Company celebrated their first anniversary of being open for business in the giant, yellow building on Powell Street. 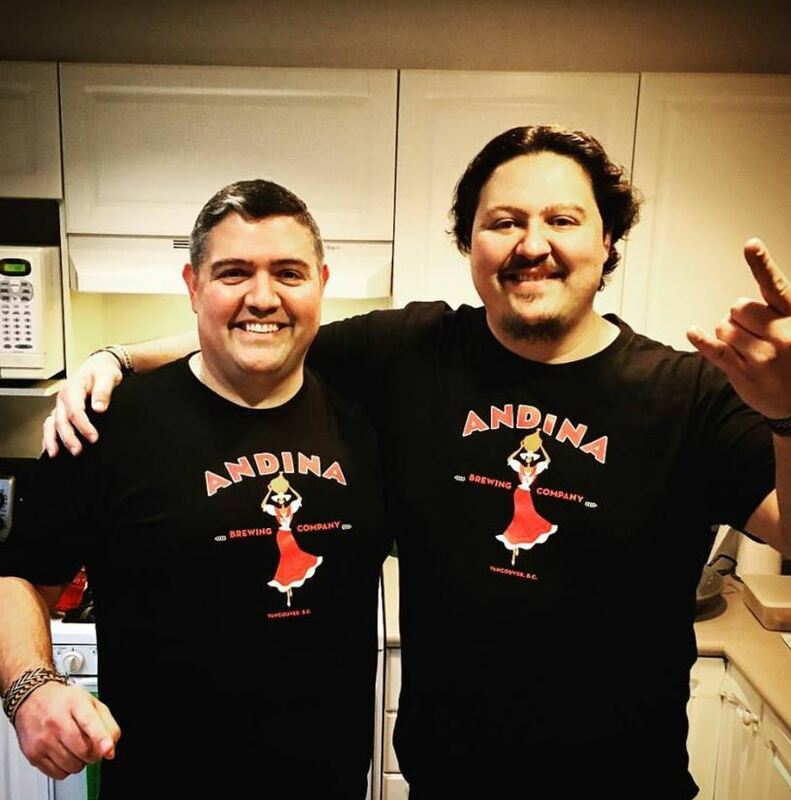 They bring a refreshing take on brewing to Vancouver’s craft beer scene with flavours, music and influences from South America. 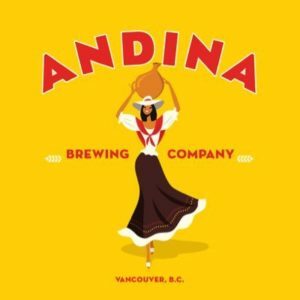 The Andina Brewing Company was started by two Colombian brothers (Andrés & Nicolàs Amaya) who named the brewery after a typical woman from the Andean mountain range, an Andina. 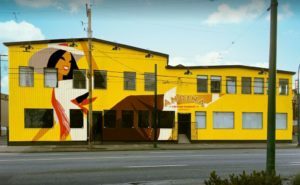 You can see a mural of their heroine La Pola (a Colombian slang term for beer and a reference to revolutionary folk hero Policarpa Salavarrieta) painted on the outside of their building and on all of their canned products. 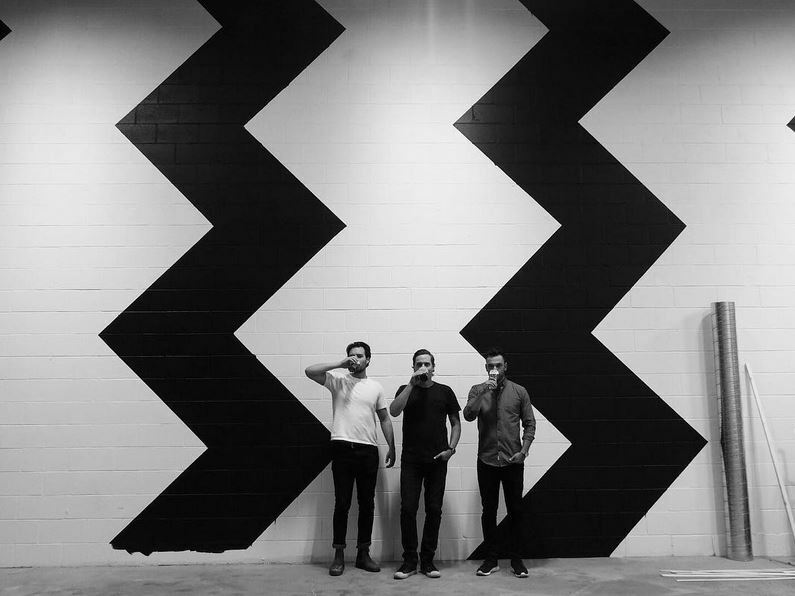 If you enjoy Latin music, come in on Thursdays to hear local band Cumbia Galera groove the evening away (one of the many reasons we love sending private groups here on Thursdays!). If you think you’ve tasted all that beer has to offer, we highly recommend a trip to this brewery. 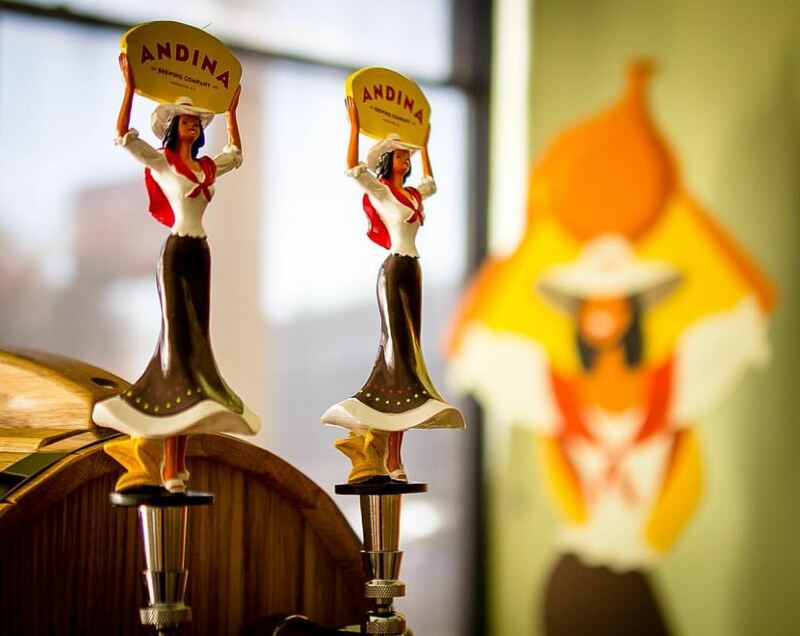 They are busy brewing quality beers with all sorts of South American ingredients and we don’t just mean the Chilean Patagonia malts. Lulu, or ‘little orange’: Currently being used in their Agria sour, lulo is a beautiful fruit. Often described as tasting like a hybrid citrus fruit with kiwi, pineapple and rhubarb flavours. Guava: Canadians may have heard of guava, but few know it well. The Jalea is a guava saison which perfectly showcases the potential between European and South American flavours. Passion fruit: What a pairing! The Maraca Black IPA balances passion fruit’s sweetness with the floral hops and dark malts of this American-style dark IPA. Don’t worry; there isn’t fruit in all of their products (although their Conchita Kölsch uses Colombian coffee). They also brew more traditional beers such as a pale ale, milk stout and blonde IPA. 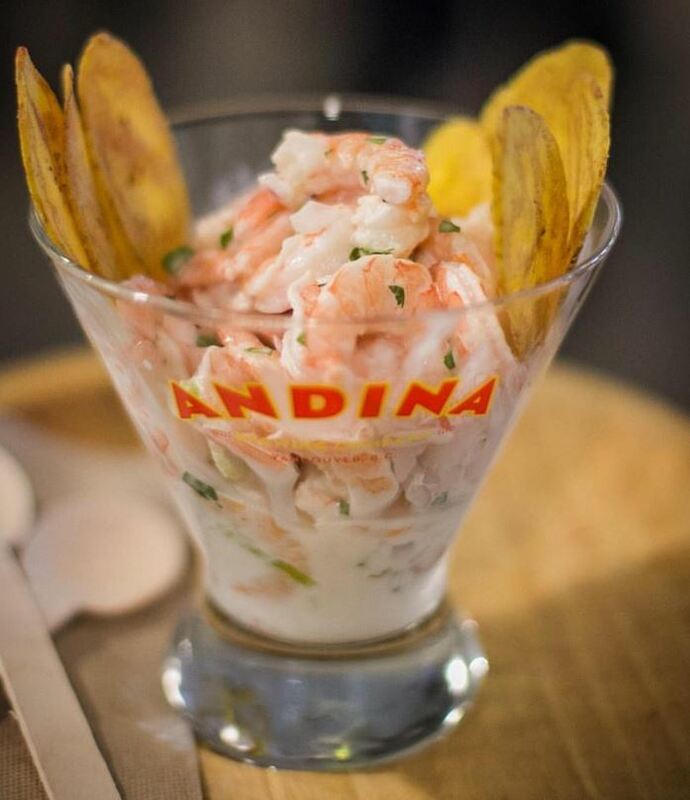 Another delicious reason to visit Andina’s tasting room is the food! Such incredible and unique offerings to snack on while sampling their brews. 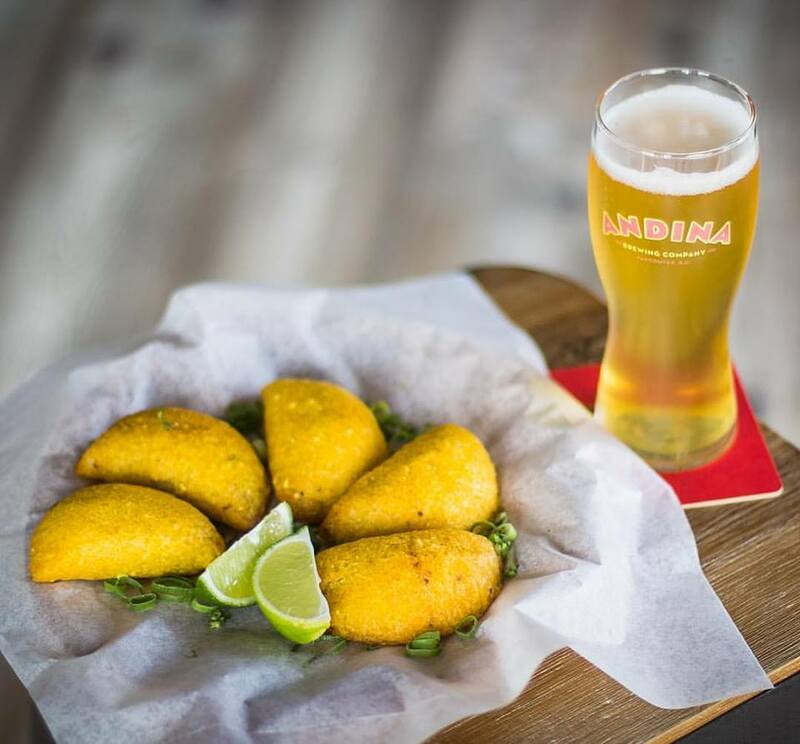 Their take on nachos, or pachos, uses plantain chips instead of corn chips and of course you can find classic Colombian arepas, ceviches and empanadas. 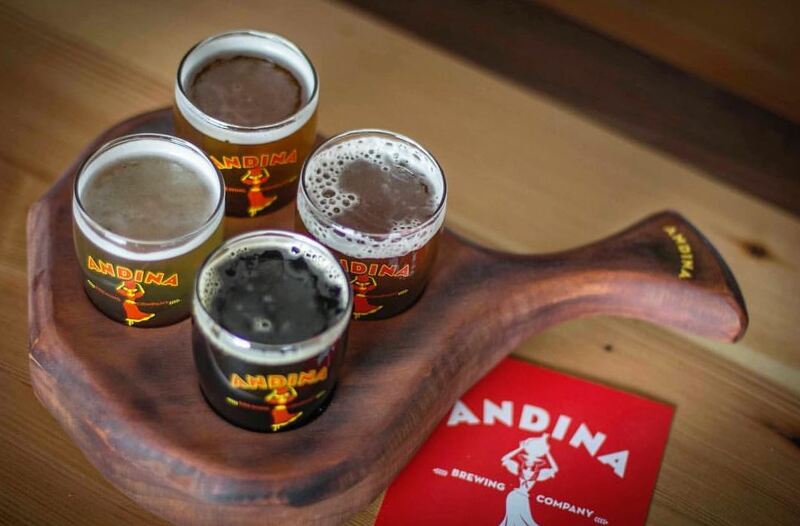 If you’d like to visit the Andina Brewing Company then book a spot on our Wednesday tour, we’re there every week OR request a tour on your next Priavate Tour. 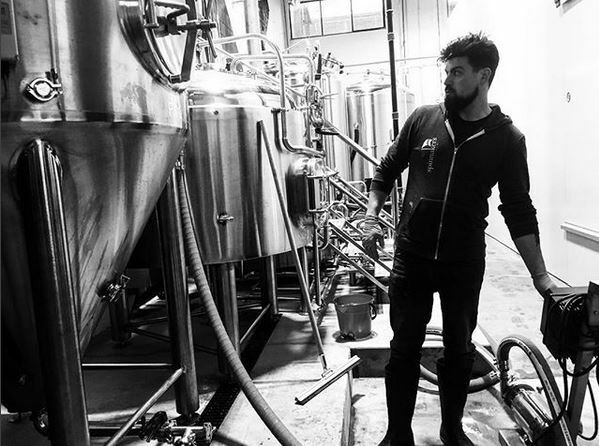 Here’s a tough question – what’s the best way to do a brewery tour? Walk, bike, run, by motorhome? We’re partnered with our friends at Motorhome Republic, the world’s largest online Motorhome and RV rental agency to promote our brewery tours and Vancouver as a craft beer destination for thirsty road travellers. 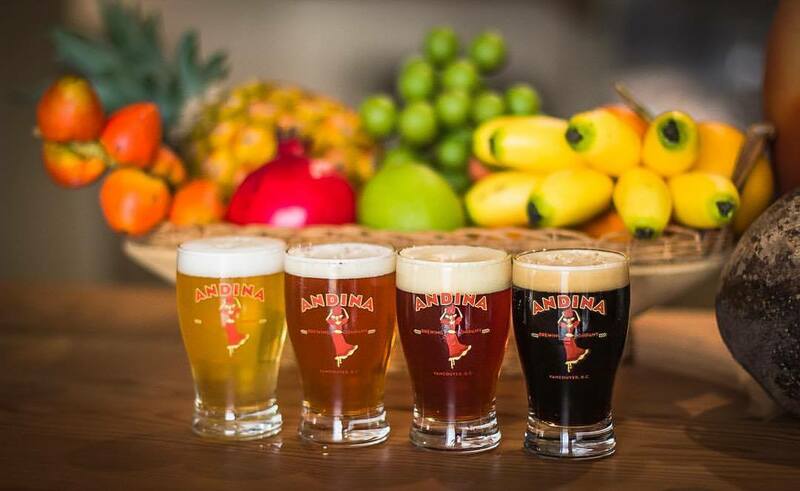 Not only is Vancouver a renowned destination for travelers with a mix of scenic mountains, abundance of outdoor activities, world class cuisine and more, the city is also considered one of the top craft beer destinations in North America. 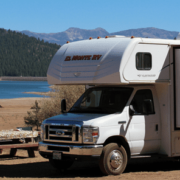 Vancouver is also a short distance from beautiful Whistler, the Okanagan Valley and Vancouver Island making it a perfect launching destination for RV and motorhome enthusiasts. 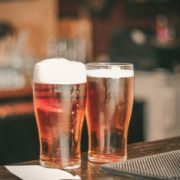 The latest list of the best breweries in the city was recently released by our friends at TripSavvy (www.tripsavvy.com). 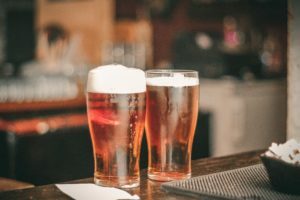 These lists are published fairly often by all sorts of different websites, magazines, social media influencers and of course, from within the local beer community itself. Do we happen to like this list in particular because we work with 9 out of the 10 breweries listed… you bet it is! Tourism is a big industry in this city, and if tourists are using this list as a starting point, they’re doing pretty great! A lot of the usual suspects are on the list, Brassneck, Strange Fellows Brewing, Parallel 49 and Main Street Brewing of course. 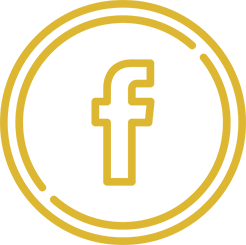 We are also delighted to see our other good friends up there: Vancouver legend Steve Forsyth’s Off the Rail Brewing, the always cool Postmark Brewing, a personal fave Powell Brewery, every cyclists favourite Bomber Brewing and of course, the perennial local rock stars at Storm. We are very luck to live and drink in such a rich community of amazing breweries. While this list is hardly exhaustive of the amazing beer that is being brewed here. We are okay with the word getting out a little bit! The sun is shining, and that means summer is here. 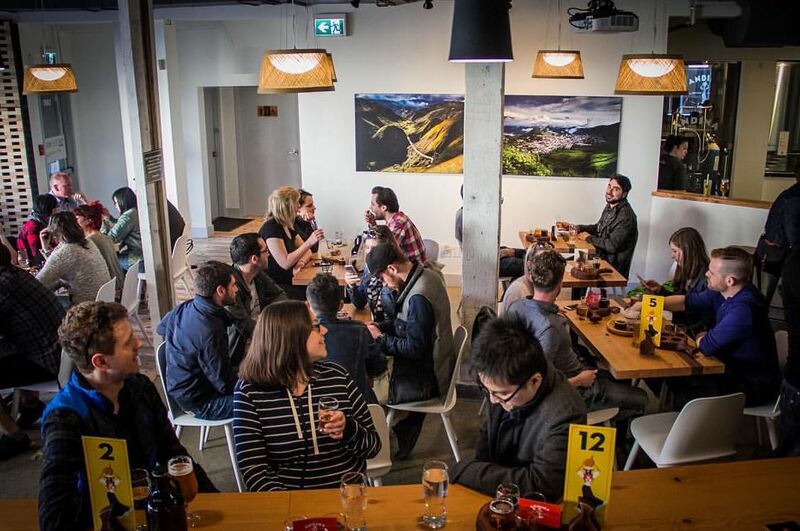 Grab some friends and join us on a Vancouver Brewery Tour. We visit all of these breweries and more!